I've been lurking around on here for a few years soaking up information while I got our bus ready for the road so I thought it about time I gave something back and hopefully it can help somebody out. I brought Sunny about 2 years ago from a fellow KC Member, he was a good solid bus but was in need of some rust repairs and some serious TLC. He's a 74 Bay 1800 auto, he was in far from roadworthy condition but we (finally) in the last 2 weeks got him registered and out on his first adventure with our family on the Australia Day weekend! I've been a watercooled VW fan for many years, owing a raft of Golf GTI's so when it came time for a mobile holiday machine there was only one choice of course and it had to challenge me so a 'proper' VW it was! That pretty much summed it up. Half throttle with the foot flat to the floor! I had replaced the accelerator cable and all the linkages and pedal, I knew play was not causing my issue. So i decided a longer stroke would fix my problem. So i knocked up a fairly ordinary bracket in the garage to test it out. Bracket made I promptly got Mrs W back for pedal duties, low and behold I'm still not getting full throttle. Slightly bemused and a little confused I started on a round of practising some high school geometry to work out the perfect length for my lever extension to give me full throttle. After about two hours of trial and error I was still unable to go all the way! I was getting confused! It was only when Mrs W was out and not being able to hold the pedal down did I inadvertently find the cause. I removed the s linkage from the pedal so i could jam a brick on the linkage end to hold it down flat out. After checking again I all of a sudden had full throttle. So i reconnected the pedal and it finally hit me. At some point the drivers side floor had several patches put on including where the pedal mounts and when the pedal had been refitted the geometry had been totally messed up. A few more measurements and a couple of new holes later and I finally had full throttle! Man was I excited. So I quickly threw the rest of the bus back together and cracked on for a road test, backed out of the driveway and took off around a tight bend (very quickly) and I got a bit of wheel spin!!!!! We live in a hilly area and he was a new man, so off I continued to test him out on the open road. I hit the freeway which is fairly close to our place, you could not wipe the smile off my face as i backed off well over 100kph! We are taking him on a 2 week adventure at the end of next week and now I simply cannot wait. So if you are struggling to find some missing power these two simple checks may well be worth a look! Thanks and look forward to seeing you on the road. Thanks for posting your experience.....it'll only be a matter of time before someone will benefit....that's how the kombi spirit is passed on. Yeah the hills around here have the old bus dropping into lower gears so might be worth checking the linkages out. what is this 100 kph you speak of? Others have found the layers of carpet etc under the pedal impare the travel. Worth a look down the carb to see if opening fully. Instant GT! Hey Matt, I have the exact same problem in my 75 bay auto. Pedal flat to the floor means the carbies are only half open! Anyways, I digress. You seem to have fixed the problem, but I am not exactly sure how you did it! I have made sure there is absolutely no sloppiness in the pushrod and linkages, and there is only bare metal under the pushrod. But I just can't see how I can get more movement in the mechanism, short of cutting a hole in the floor. Did you move the pedal forwards or backwards perhaps? Oo yeah! I sourced one of those pushrods with the little bearings in them (about $40 at JK), and it does do an amazing job of removing the play in the accelerator pedal. That's what had me totally stumped, because it didn't make any difference at the carby end. However, since this morning when I posted, I have FIXED the problem. Hooray! ... and voila, it's brilliant! I have a new kombi. 100kph here I come! 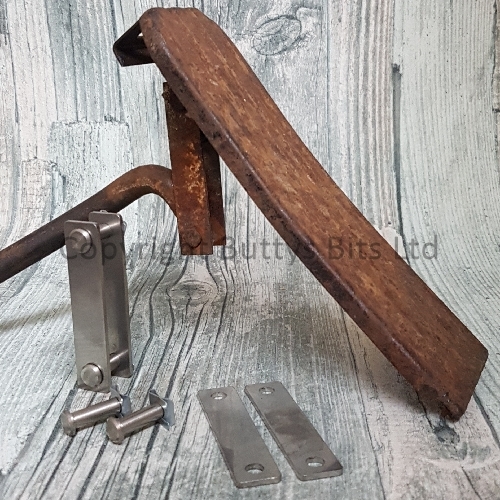 Bit late on this post but try butty's bits (UK based but Red Wolf in Australia import) new linkages - put one on my 72 cross over and it is brilliant - well worth the $150 and easy to fit yourself. Yeah, thanks for the info. Butty's Bits looks like a very handy site. The throttle kit looks identical to what I got in the end. The main difference from the original throttle mechanism is the pushrod with the little ball joint bearings instead of the S-shaped rod. I got just such a pushrod from JK for about $40, and it effectively eliminated all play in the pedal. It's now perfect. In the end, however, it turned out that my MAJOR problem was at the carby end! The darn cable was fractionally too long, meaning that the first half a press of the throttle did nothing at all to the carbies. I rigged a solution - see above - and it now works a treat. I have a new bus! Hi all, I bought a set of the rose joints for my accelerator pedal but when I examined my set up fully I found that I didn't need it. I just adjusted the throttle cable and have taken out most of my slack. So I have a set of these rose joints if anyone wants it ($32 plus $8 postage). Can someone point me to a install instruction video or similar to show me how to place the pushrod? I must have the wrong pedal and linkage as the one I have has pins with split pins and a plate either side making up the push linkage. There is three types of accelerator pedal assembles in T2 kombis. The one in above photo post#17 looks like a 73 -74 linkage hard to tell with carpet on top. The one you mention is the later linkage from 75 on? 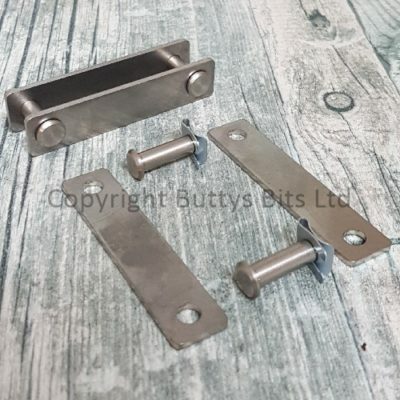 Buttys bits link below any good VW store should sell them.